The M249 light machine gun (LMG), previously designated the M249 Squad Automatic Weapon (SAW), is an American version of the Belgian FN Minimi, a light machine gun manufactured by the Belgian company Fabrique Nationale Herstal (FN). 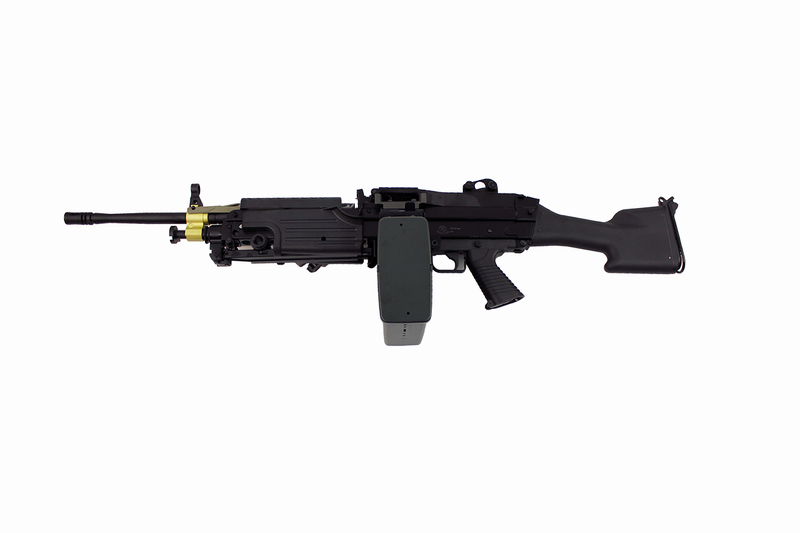 The weapon provides infantry squads with the heavy volume of fire of a machine gun combined with accuracy and portability approaching that of a rifle. M249s have seen action in every major conflict involving the United States since the 1989 invasion of Panama. Due to the weight and age of the weapon, the United States Marine Corps is testing the M27 Infantry Automatic Rifle with plans to partially replace the M249 in Marine Corps service. That said, that does not dissuade from its appearances in many movies, tv shows and video games as the weapon is almost as synonymous with American infantry as the iconic M16/M4. 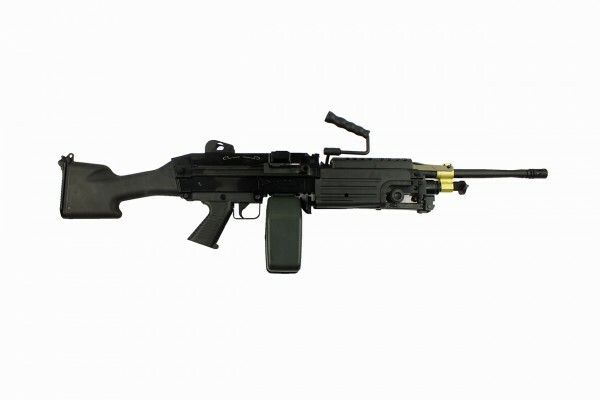 A&K M249 features an aluminium accents and polymer foreguard. The built-in bipod stays out of the way while not in use but drops out when needed making it a welcome addition to a weapon some might find too heavy. This model utilizes the full length barrel and fixed stock to replicate the slightly older full size model used by standard US armed forces.